Current: What is Class Diagram? Structural features (attributes) define what objects of the class "know"
Behavioral features (operations) define what objects of the class "can do"
The name of the class appears in the first partition. Attributes are shown in the second partition. The attribute type is shown after the colon. Attributes map onto member variables (data members) in code. Operations are shown in the third partition. They are services the class provides. The return type of a method is shown after the colon at the end of the method signature. The return type of method parameters are shown after the colon following the parameter name. A class may be involved in one or more relationships with other classes. A relationship can be one of the following types: (Refer to the figure on the right for the graphical representation of relationships). An abstract class name is shown in italics. 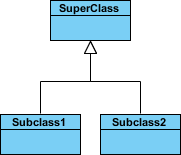 SubClass1 and SubClass2 are specializations of Super Class. A structural link between two peer classes. A special type of association. It represents a "part of" relationship. Class2 is part of Class1. Many instances (denoted by the *) of Class2 can be associated with Class1. Objects of Class1 and Class2 have separate lifetimes. A special type of aggregation where parts are destroyed when the whole is destroyed. Objects of Class2 live and die with Class1. Class2 cannot stand by itself. Exists between two classes if changes to the definition of one may cause changes to the other (but not the other way around). Names of relationships are written in the middle of the association line. "an expression evaluates to a value"
They often have a small arrowhead to show the direction in which direction to read the relationship, e.g., expressions evaluate to values, but values do not evaluate to expressions. A role is a directional purpose of an association. Roles are written at the ends of an association line and describe the purpose played by that class in the relationship. E.g., A cell is related to an expression. The nature of the relationship is that the expression is the formula of the cell. The arrows indicate whether, given one instance participating in a relationship, it is possible to determine the instances of the other class that are related to it. we cannot determine from a cell in what spreadsheet it is contained. given a value (or expression) we cannot find the cell of which those are attributes. The +, -, # and ~ symbols before an attribute and operation name in a class denote the visibility of the attribute and operation. attribute3 and op3 are protected. attribute2 and op2 are private. Access for each of these visibility types is shown below for members of different classes. Requirement: A Student can take many Courses and many Students can be enrolled in one Course. The children classes inherit the attributes and operations of the parent class. A class diagram may also have notes attached to classes or relationships. Notes are shown in grey. We can interpret the meaning of the above class diagram by reading through the points as following. Shape is an abstract class. It is shown in Italics. Shape is a superclass. Circle, Rectangle and Polygon are derived from Shape. In other words, a Circle is-a Shape. This is a generalization / inheritance relationship. There is an association between DialogBox and DataController. Shape is part-of Window. This is an aggregation relationship. Shape can exist without Window. Point is part-of Circle. This is a composition relationship. Point cannot exist without a Circle. Window is dependent on Event. However, Event is not dependent on Window. The attributes of Circle are radius and center. This is an entity class. The method names of Circle are area(), circum(), setCenter() and setRadius(). The parameter radius in Circle is an in parameter of type float. The method area() of class Circle returns a value of type double. The attributes and method names of Rectangle are hidden. Some other classes in the diagram also have their attributes and method names hidden. Dealing with Complex System - Multiple or Single Class Diagram? Instead of modeling every entity and its relationships on a single class diagram, it is better to use multiple class diagrams. 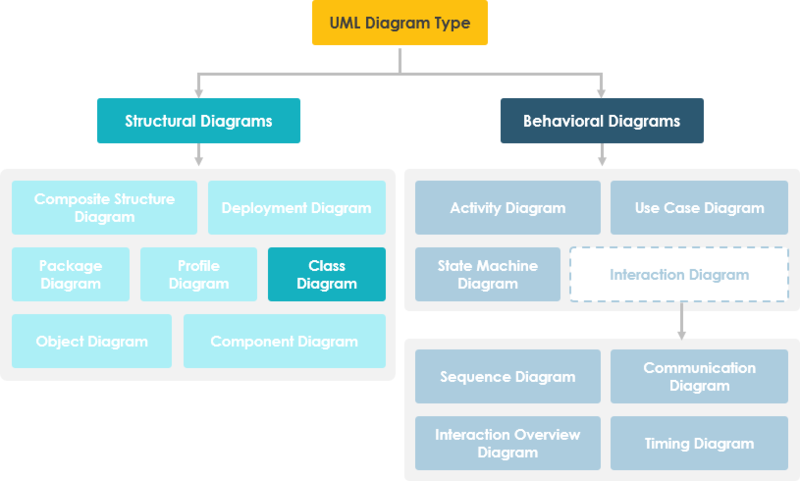 Dividing a system into multiple class diagrams makes the system easier to understand, especially if each diagram is a graphical representation of a specific part of the system. Conceptual perspective: The diagrams are interpreted as describing things in the real world. Thus, if you take the conceptual perspective you draw a diagram that represents the concepts in the domain under study. These concepts will naturally relate to the classes that implement them. The conceptual perspective is considered language-independent. 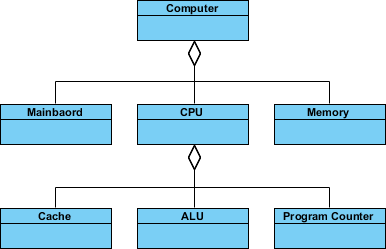 Specification perspective: The diagrams are interpreted as describing software abstractions or components with specifications and interfaces but with no commitment to a particular implementation. Thus, if you take the specification perspective we are looking at the interfaces of the software not the implementation. Implementation perspective: The diagrams are interpreted as describing software implementations in a particular technology and language. Thus, if you take the implementation perspective we are looking at the software implementation. You've learned what a Class Diagram is and how to draw a Class Diagram. It's time to draw a Class Diagram of your own. 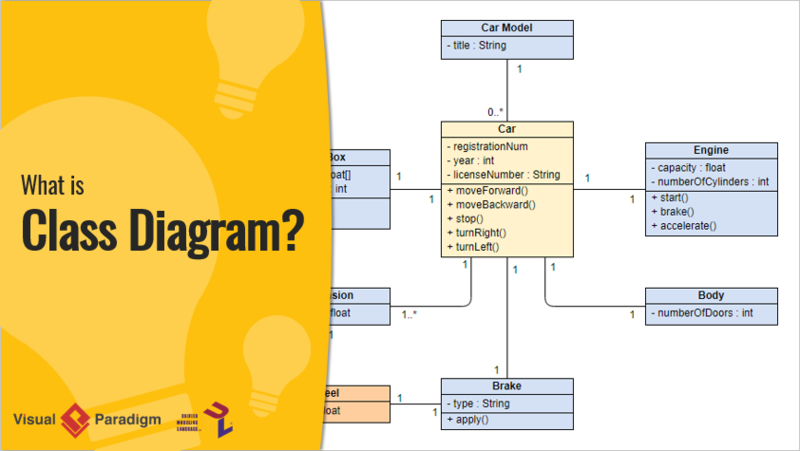 Get Visual Paradigm Community Edition, a free UML software, and create your own Class Diagram with the free Class Diagram tool. It's easy-to-use and intuitive.